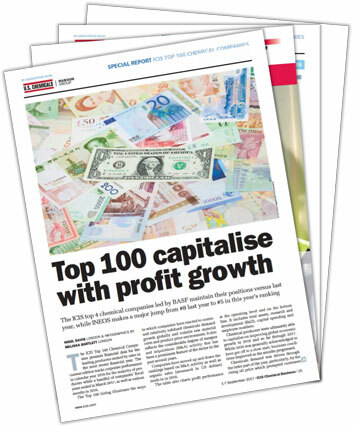 Welcome to the 2017 ICIS Top 100 Chemical Companies published by ICIS Chemical Business, the leading global chemical publication. Based on 2016 sales, this list highlights the largest and most influential chemical companies on earth, and analyses the trends impacting their progress. It illustrates the ways in which companies have reacted to continued relatively subdued chemicals demand growth globally and a volatile raw material costs and product price environment. It also reflects the considerable degree of mergers and acquisitions (M&A) activity that has been a prominent feature of the sector in the past several years.